Update: It seems that legendaries can already drop as item level 970 as of this week (the Heroic Tomb of Sargeras week), so feel free to open any caches you saved so far! Now, we all know that Legion legendary items have an internal “cooldown” of dropping, called “Bad luck protection (BLP)”. Up until you get your very first 2 legendaries on a character (or a spec you don’t play), you have a very high chance of getting them to drop, thus BLP not resetting. 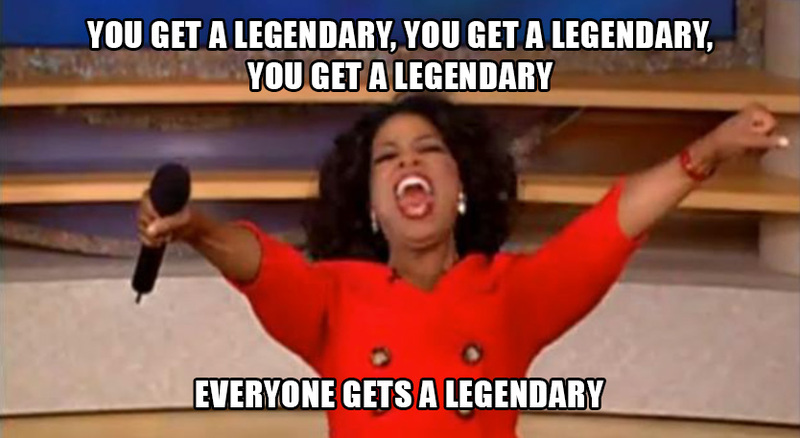 Once you get your first 2 legendaries, the BLP resets to 0, meaning you need to farm legendary rewarding content, such as current raids (LFR/Normal/Heroic/Mythic), dungeons, world quests, PvP, rares, chests and such, and stack up BLP until you get one to drop. Most players can sort of estimate when they might get the next legendary, based on the amount of content put in, however, it’s (apparently) not quite an exact science thing. Here’s a calculator that keeps track of the amount of legendary rewarding content you’ve done so far, and can approximate when you’re due for another drop. With Patch 7.2.5 being released, the legendary item level is also increasing to 970 (from 940), just like it did from 910 to 940 when Nighthold was released. This will only happen the week Mythic Tomb of Sargeras opens, which is as of 27th of June, 2017. Once it goes live, you’ll automatically be on the quest to gather 50 Writhing Essence, which combined, results in an item that will be used on the legendary of your choice, which will increase its item level to 970. This would be ok though, if the quest item wouldn’t get consumed on use, and you wouldn’t have to do the very same quest (which can take up to 2 weeks), for every single legendary. And let’s face it, if you’re doing relevant content, most of them are just as useful, since you constantly need to swap and replace based on what you’re going up against. With the release of 7.2.5, new legendaries have been added for all classes, some which will be BiS for various specs. 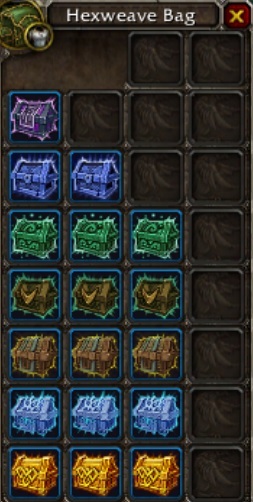 Now, these items will drop as 940 item level if you get them to drop before the release of Mythic ToS (27th of June), but will be already upgraded to 970 if you get them after the raid going live on mythic. 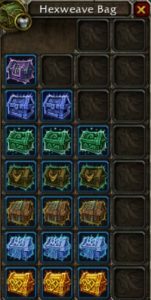 All you need to do in order to make sure that any legendaries you’ll get will be already upgraded to item level 970, is to stockpile all of your Emissary Caches, Broken Isles Supply bags and any other possible sources of legendary gambles (such as Paragon Reputation Supplies or Nethershards to buy items from the Broken Shore vendor), while still doing some relevant content in order to increase the BLP. This is a great way to make sure that any legendaries you get after mythic ToS will be at 970 item level, including both old and newly added ones. What happens in the above image is that the player has spam clicked his caches fast enough that the game didn’t register any legendary yet, thus not resetting the BLP, in which case other legendaries kept dropping to ensure that the player gets their due “one”. Now, there might’ve been a few tweaks to prevent this from happening again, however, spam clicking the emissaries has still rewarded at least 2 legendaries to some players recently, but that’s just a bonus, since our goal here is to get a 970 one right off the bat. While basically this isn’t a 100% chance to get legendaries to drop, it is, however, the best way to make sure you’ll get already 970 upgraded ones. Unlike other such guides, this doesn’t make you go out of your way in any regard, but merely play normally and just hold off on opening any legendary rewarding chests and caches until the 27th of June, when Mythic Tomb of Sargeras releases in the US, and 28th for EU.